At night, under a billion shining stars in the rugged wilderness of the Aussie Outback, a campfire is a mesmerising sight, and an axis upon which rudimentary life can revolve. It provides food, warmth, protection, and if you're lucky, a sense of peace and a connection with the land and others. For anyone who has spent time with others around a campfire, it's a place where stories are shared and memories are made. 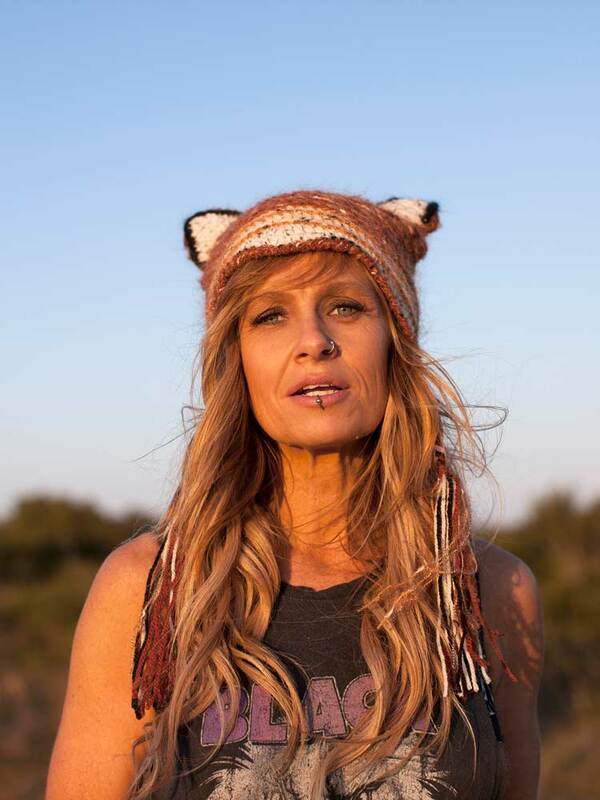 For Kasey Chambers — one of Australia’s most revered songbirds — a campfire has that special meaning, as her family's life once revolved around one that was lit every night on the Nullarbor Plain in the South Australian outback, where she and her family lived in a car. Although those days and nights are now thirty years ago, that campfire has never left her heart or mind. In fact, the memories made around it form the basis of the woman and indeed the musician she is today. Kasey's father, renowned musician Bill Chambers, packed up his little family (his then wife, Kasey and her brother Nash) and drove them into the middle of the Nullarbor Plain to start a new life that centred upon a new career for him as a fox hunter. Back then, Kasey was a newborn and her brother was three years old. There, in one of the most extreme locations on Earth, the family began their new life living off the land and sleeping in swags under the stars every night. "It's not a normal thing for a father to do, I know!" says Kasey with a laugh. "Who wakes up one day and decides to be a fox hunter, huh? But anyway, at the time, my brother and I didn't know that. Our life revolved around hunting animals for food — emus, kangaroos, goannas and anything that moved, and every night we'd sit around the campfire. We barely saw other people, except every week when we met a food supply train to stock up on the basics such as tea, sugar and flour." One of Kasey's earliest memories of music was the sound of American singer Emmylou Harris's voice on those tapes. “It was a comforting sound to me then and now, her voice is such a familiar sound — and something that brings back those precious childhood memories,” she says. These musical memories created a reminiscence album inside Kasey — an ode to her upbringing and a reflection on the past — and it was something so special that she always knew it was there, slowly taking shape within her. Awards, parties, events and relationships came and went. She had three children (now aged six, 10 and 15), collaborated with globally renowned musicions such as Keith Urban and Ed Sheeran, and continued to add more and more awards to the mantelpiece. However, as with most artists true to their heart and direction, before 2018 came along, Kasey knew instinctively that it wasn't the right time for Campfire, despite it being there, ready to spring from inside. Then, in 2017, fate stepped in. 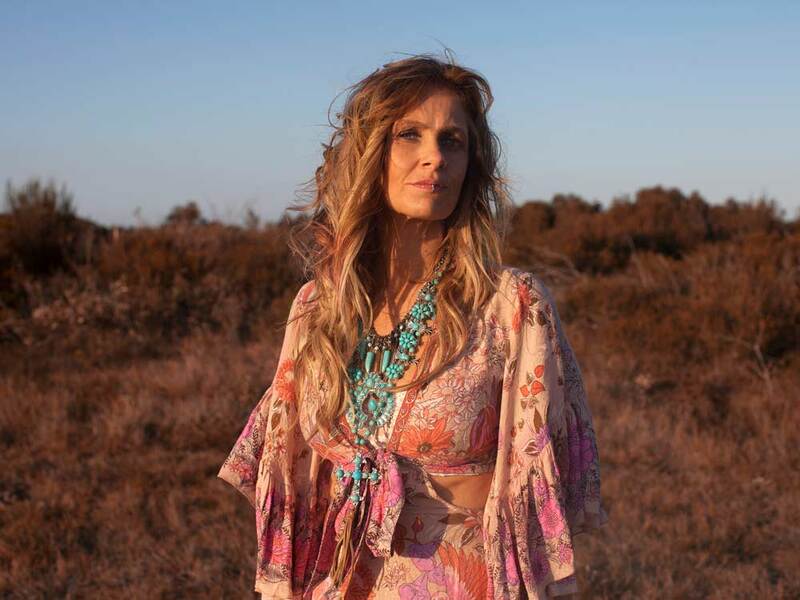 Kasey was touring in the US and at one gig Emmylou Harris was also scheduled to perform. The two women graviated to one another, chatted, and agreed that that they should do something together. “On Campfire she sings a duet with me,” says Kasey, beaming. "I can’t even begin to explain what it meant and means to me," she continues, then pauses, lost for words. "Collaborating with Emmylou was a dream come true – it was like everything just fell into place. To have that sound, that voice that was such an enormous part of my childhood, gives me goosebumps. Despite the incredible highs in my career over the last year, the time wasn't right. And then after meeting Emmylou, and us collaborating, it made the time right for Campfire. The whole album is about comfort, and about being comforted. It's about me, about what it felt like to me living out there around a campfire, it's about what it felt like as a child — and then other more recent memories and experiences of mine — like what it felt like living on Norfolk Island and travelling in Africa. It's simply about those experiences lived out around a campfire." Kasey found it easy to produce Campfire, it flowed from her. "If I had forced it out earlier, it would've been harder," she says. It's so right to do it now, after such a huge year last year. In 2017 I toured in the USA four times, played gigs in Africa, toured all over Australia and I had a number one album [Dragonfly earned Kasey her 5th number 1 album on the ARIA charts]. Honestly, it was one of the best years of my life. But because it was all so big and so much was happening and I had so much success, I had to remind myself of who I actually am. I had to strip things back to the me inside, and not just be this big powerful woman (don't get me wrong, I know I am that!) but I needed to sit around a campfire and be more earthy. I needed to be around my beautiful family and beautiful peple. Basically, I wanted to get back to my roots." And so Campfire finally emerged, and it really is like a glimpse into Kasey's heart and soul. Listening to it, you actually feel as though you might be sitting with Bill, Kasey, her mother and Nash out there under the stars. It also seems fitting that before Campfire, she released a song on Dragonfly that is just as poignant, but it's about her life now, as a woman reaching a turning point in her life. "'Ain't No Little Girl' is the song that holds Dragonfly together," she says. "It's poignant and so important to me, and one of the most intense songs I have ever created. It came from hard times, but I am able to gain more perspective on something when I put it into a song. It's about losing someone from heartbreak – love can be such a powerful emotion – it changes your whole perspective on everything else around you. Love can make the world and everything in it so colourful and it can also make it all so grey when you lose it. That's a scary thought really – beautiful and scary at the same time." Meet Kasey and one thing you'll notice right away — and it won't matter how many more awards she has or how much more famous she can possibly become — is that she is real. There's no facade. Even when she talks on stage, she's a straight shooter and there's no filter. Words just fall from her lips, straight from her heart. "I try to make sure that I see everything in true perspective," she says. "Trying to balance a career and being a parent – it's bloody madness. Some days I am rocking back and forth in foetal position. I make dinner for the kids, throw it across the room and hope that one of them catches it. My days are filled with interviews, new records, I might be presenting an award at the APRAs, and before that picking a dress, but then I need to get to a parent teacher meeting, drive my son to a football match and my daughter to a swimming lesson, then get my hair and makeup done. It's nuts! But let's face it, that's life for most mums. That's what we do. It's a mad world that we live in, so I like to say, you need to earth yourself." To Kasey, that means physically feeling the earth beneath her feet. "Keep perspective. Don’t forget to enjoy where you are standing right now. Try not to lose sight of what life is really about. Yes, I get overwhelmed like everyone else, but when I do get to footy training, and I see how happy my son is to see me there, it's beautiful. Doing those little things that matter with the people in your life that matter — that’s the secret to a happy life, I think." Kasey understands that we live in a world that can be superficial, especially with social media dominating the lives of so many people, particularly affecting children often too young to deal with the ramifications of what can come from it. So much of what we see online today is not real, and as a role model to so many, Kasey does her best to support the notion that authenticity matters. Being real matters. "I have to remind myself all the time that this world can be so superficial – there are so many filters," she says. "But I buy into it too sometimes. I put my fave filters on photos, but I also really believe in showing people the real side of me, as it can be just as beautiful and important, and inspiring as the 'filtered' me. Even more beautiful actually. I sometimes wish that Instagram didn’t exist, but it's not going away, so we have to use it to create positive things. We have to find balance. I might still put my favourite new dress on Instagram, but I am not scared to say that my kids have nits." She hoots with laughter. "Bloody nits and kids!" Listening to Kasey talk, you can't help but smile. That strikingly authentic nature that fans have fallen in love with, over and over again, shines through. It's amplified in her music, especially in Campfire. "Being real appeals to everyone, whether they know it or not," she says with certainty. "Being authentic connects me to people, and I have a 40-year-old career to prove it."